Jace Wayland: My hair is naturally blonde… Just for the record. 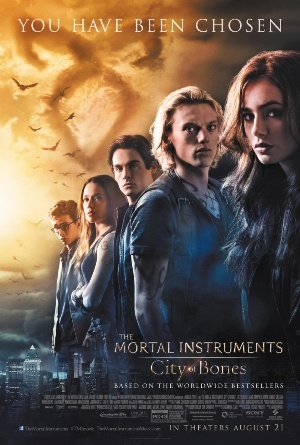 Based on The Mortal Instruments series by Cassandra Clare, we are introduced to the world of Shadowhunters through Clary (Lily Collins), who discovers she’s one of them on her 18th birthday. Her mother is missing and her world is invaded by monsters searching for the Mortal Cup, which has the power of creating more Shadowhunters, allowing humans who drink from the Cup to become half-Angels. Clary Fray: Is this the part where you start tearing off strips of your shirt to bind my wounds? Jace Wayland: If you wanted me to rip my clothes off, you should have just asked. It is pretty obvious Jace has a sense of humour and he has some of the best lines in the movie. I have never read the book but if what I’ve seen is already so rich, I’ll bet what I’ll read will definitely make me go crazy. The movie sure doesn’t shy from kid-friendly content because the audience is introduced to demon dogs early in the movie. Scariest canine ever – comparable to those vampire dogs from Blade: Trinity. Clary Fray: Have you fallen in love with the wrong person yet? Jace Wayland: Unfortunately, Lady of the Haven, my one true love remains myself. Clary Fray: At least,you don’t have to worry about rejection, Jace Wayland. There’s a slight twist towards the end which leads me to think that only Jonathan Rhys Meyers and Lena Headey could produce such beautiful offspring.The wonder of genes. Godfrey Gao stars as Magnus Bane, a party-loving and pants-hating warlock. Hurray for Asian talent in such a big production! Totally looking forward to the sequel because there are simply too many books in the series! One last thing: how hot is Aidan Turner?! 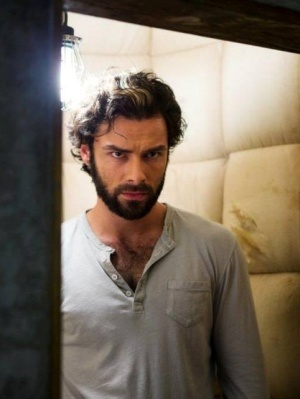 Luke Garroway: I’m a werewolf, not a Golden Retriever. 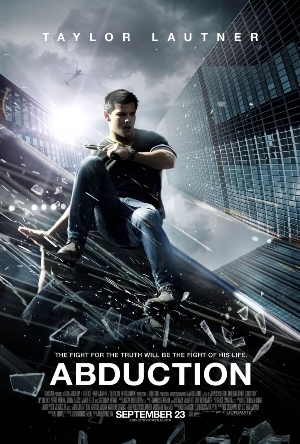 This is the only other movie I’ve seen Taylor Lautner in outside of the Twilight Saga; the other being The Adventures of Sharkboy and Lavagirl. He was so adorable as Sharkboy! Anyway, in this movie, his real identity is a mess because he found himself on a missing persons’ website. Internet 101: be careful of what information you give out and always cover your webcam! Despite all the guns and chases, Lautner still manages to find time for some smooching. At least he took Time Management 101. I bet he did most of his stunts! Cool! This marks the first time I’ve seen an actor from the original Swedish Millenium Trilogy films – Michael Nyqvist on American screens. He will be in MI4: Ghost Protocol while Noomi Rapace will be in Sherlock Holmes: A Game of Shadows. Can’t wait!